Cement truck is a heavy duty vehicle that carries a device forming concrete in a revolving drum. It is often used by construction companies and landscapers. Many business owners find it a good investment. It can give you an advantage of providing services other companies simply do not offer. 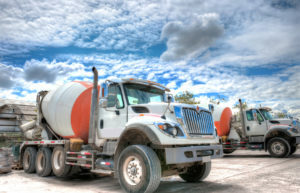 But to use a mixer truck in your business, you are going to need cement truck insurance. So, you have invested in a mixer truck. You might even be still paying it off. You cannot risk losing money over it if there is an accident. That is the reason you need good cement truck insurance. It is not just to use your cement truck legally. It is to ensure you are protected. Mixer truck is an extra heavy vehicle. Getting it insured is not the same as getting insurance for a car. The damage from a crash involving such a huge truck can be really severe. Trucks like that get inspected by DOT from time to time as it is essential they are safe and operate as they should. 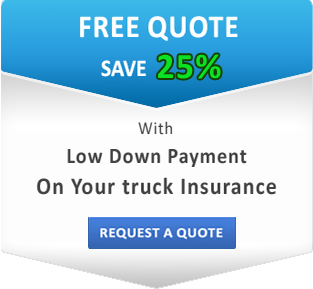 Not every California commercial truck insurance provider can deal with vehicles like a mixer truck. The liability for them is huge. There are also many details to take care of. For instance, what happens if your mixer truck has overturned? Will your business income be protected in case of an accident? Cement truck insurance falls into the category of commercial vehicle insurance. The basic coverage is usually purchased for property damage and bodily injury. Having liability insurance is required by law. It’s also important as it will cover the expenses for the accident your mixer truck driver is at fault of. You also need physical damage insurance to cover you if your cement truck is damaged. There are different options of this mixer truck insurance and you should discuss them with your insurance agent to choose what is best for your business. It is also a good idea to have uninsured or under-insured motorist insurance. If another driver is at fault of an accident but is not insured or does not carry enough insurance, you will still be covered with this type of truck insurance. No matter if you are an independent contractor or a business owner, having the right insurance is essential. SafeLine will be happy to assist you with your cement truck insurance and making your business safe!